NIO is the brand formed by Shanghai-based electric vehicle start-up, NextEV in December 2016. 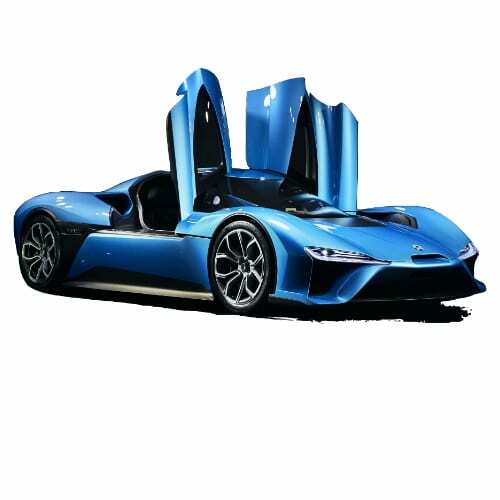 NextEV is owned by the online vehicle sales platform, BitAuto. 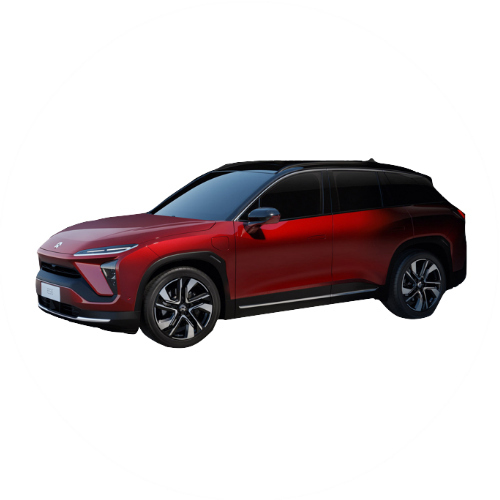 During “NIO Day” in December 2017 NIO announced the pricing and launch of its first production EV, the NIO ES8. The company also made announcements about its sales plans, charging infrastructure and self-drive systems. NIO introduces NOMI, the world’s first in-car AI system. Powered by both in-car and cloud computation, NOMI interacts with people sitting in the vehicle and its emotion engine gives users a friend on the road. NOMI combines the ES8’s intelligence and car connectivity functionalities to turn the ES8 into a fun, expressive, and intuitive companion that can listen, talk and help drivers along the way. NIO launches NIO Pilot, its comprehensive advanced driver assistance system. NIO PILOT is enabled by 23 sensors, including a trifocal front-facing camera, four surround exterior cameras, five millimeter-wave radars, 12 ultrasonic sensors and a driver monitor camera. The ES8 is the world’s first vehicle to come equipped with the Mobileye EyeQ4, which has a computation capacity nine-times more powerful than its predecessors. NIO PILOT’s software and hardware suite enable subscribers to enjoy upgraded services through FOTA updates. 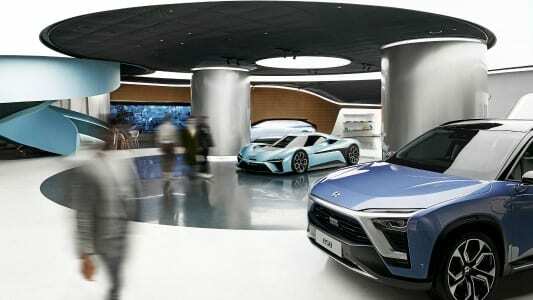 NIO Houses in Beijing, and announces their plan to open more NIO Houses in nine more cities in 2018, including Shanghai, Shenzhen, Nanjing, Guangzhou, Hangzhou, Chengdu, Hefei, Suzhou, and Wuhan. Go to our detailed breakdown of Global EV Sales to see how the NIO electric car strategy fares to its competitors in the fast-growing EV market. China Automotive News reported that although NIO expects to sell 30,000 models of NIO ES8 SUV this year, it also expects a loss of ¥5 billion ($800 million) in 2018. Funding for the operating loss is expected to come from an IPO in the USA, valuing the company at $2 billion. NIO recently opened its first of ten User Center named Nio House (pictured below) in Beijing. NIO also opened its service center in Chinese capital right next door to that of Tesla. Capital, another Tencent investment, GLP and Chinese IoT company, G7, announced a joint venture this week to start collaborating on the development of autonomous trucks. The JV will extend to electric drivetrain development, logistics big data and innovative Vehicle-as-a-Service models. GLP will provide an open logistics ecosystem while G7 its real-time data and fleet management capabilities and NIO its automotive experience. The Indian company Tata Technologies and Chinese EV start-up NIO entered into an agreement this week where Tata will be NIO’s preferred engineering partner for NIO’s complete EV range, starting with the 7-seater electric all-aluminum ES8. The agreement is one of the first significant collaborations between companies from the two countries in the EV sector. One of the more successful EV start-ups of late, NIO and Chinese Automaker, GAC, entered into an agreement to establish a new EV start-up. 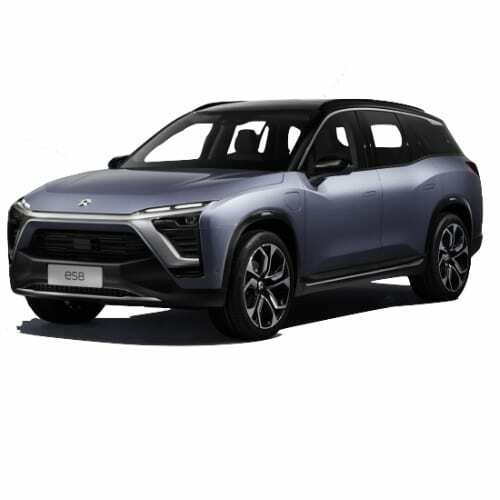 The company initially named GAC NIO New Energy Vehicle Co., Ltd. will include R&D, sales, and services related to intelligent and connected new energy vehicles. Total planned investment of the company is RMB 1.28 billion with a registered capital of RMB 500 million, of which NIO, Guangzhou Automobile Group Co., Ltd. will account for 55% and 45% of ownership, respectively. The New York and Shanghai Auto Show’s provided many newsworthy releases related to electric vehicle strategies, concept cars, and some productions cars. Although the New York auto show had all thirty plus electric vehicles available for sale in the State on view, the Shanghai Auto Show was the place to be for electric vehicle enthusiast. The VW Group teased its Audi eTron SUV and VW I.D. CROZZ concepts, which is only expected by 2019. Tired of all these old auto companies releasing concept after the other without having real competition for the Tesla available? Two production-ready vehicles from newcomers Lucid Motors and NextEV‘s NIO brand were unveiled at the Chinese event. NIO’s ES8 seven-seater SUV is expected to be available in China by the end of the year. The company also announced that it would add ten more units to its fleet of six EP9 supercars, priced at $1.48 million. Detractors of EV startups might claim press releases for intentional models potentially available two to three years down the line, such as the FF91, Lucid Air and lately the NIO Eve, means nothing until they are brought to production. But hell man, isn’t it just inspirational to see these companies trying to push the envelope of imagination, technology, risk financing and the stale products beautified by big auto’s marketing departments? It makes the heart swell and brings tears to your eyes (at least mine). 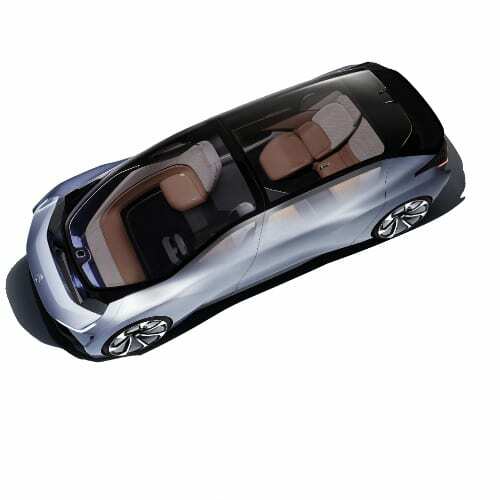 This week at its world premiere event at the SXSW event in Austin Texas, Next EV unveiled its vision for its Level 4 Automated NIO EVE for the USA market in 2020. 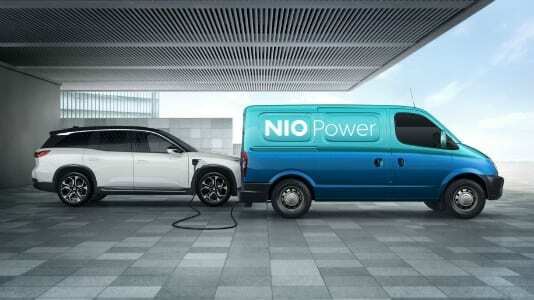 The brain and heart behind the NIO EVE are Nomi, the driver companion through autonomy and artificial intelligence. NIO USA partnered with Mobileye, NVIDIA, and NXP to bring its vision to life. Along with the release of the NIO EVE, U.S. CEO Padmasree Warrior showed a video of the NIO EP9 completing the first historical feat of racing around the America‘s Track in Austin Texas without a driver, reaching a top speed of 160mph. The vehicle also broke a lap record with a driver. The release was not without its controversy as competitor; Faraday Future claims the design stole from its own FF91 released at the CES 2017 in Las Vegas earlier the year. NextEV’s flagship supercar for its NIO brand was launched on the 19th of November 2016 during an event at the Nürburgring in Germany. The EP9 broke the track record of 7:22:00 with a time of 7:05:12.